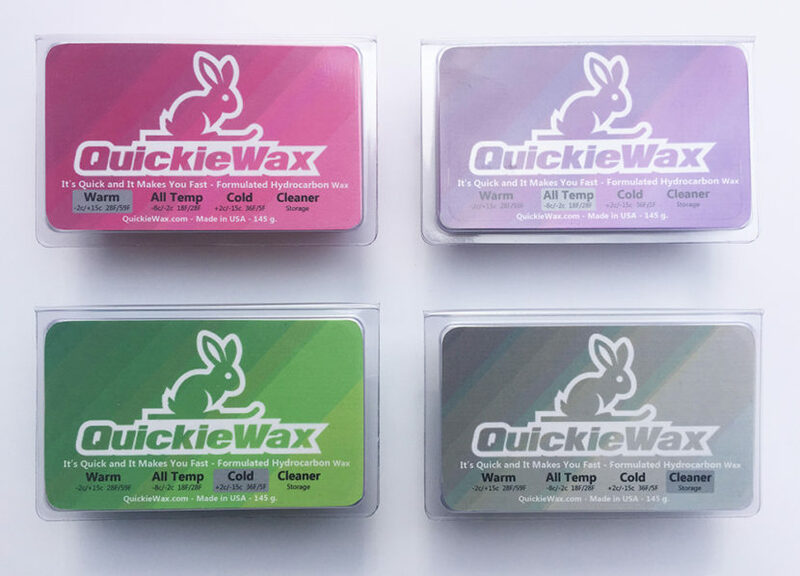 Quickiewax sells blends of hydrocarbonated wax for skis and snowboards in 145g temperature specific bars. If you wax your skis or snowboard every seven days that you are on the snow a single temperature bar should last you four to six weeks skiing everyday. A lot longer if you blend bars to adjust for current conditions. Like that huge power dump right be for you go riding tomorrow! We suggest waxing after skiing on the snow for 4 days. Do you ski 2 hours a day or 7 hours? Results will vary depending on how often you are skiing or riding. In order to make it simple we say wax your ride on every 5th day. Following this routine by the time you have waxed 4 times you will see it easily last much longer than 4 days. Will cheap wax even work on skis and snowboards?